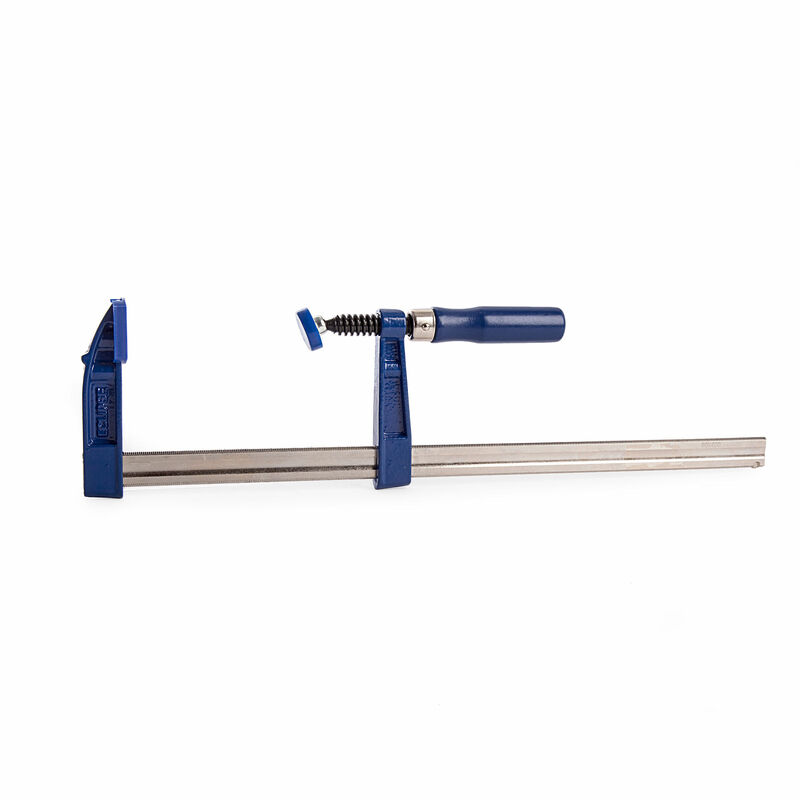 The Eclipse EC-SC80R16 16" Screw Clamp has an 80mm throat capacity. These clamps are manufactured to DIN5117 standard clamps with an average clamping force of 300 kg 660 lbs. 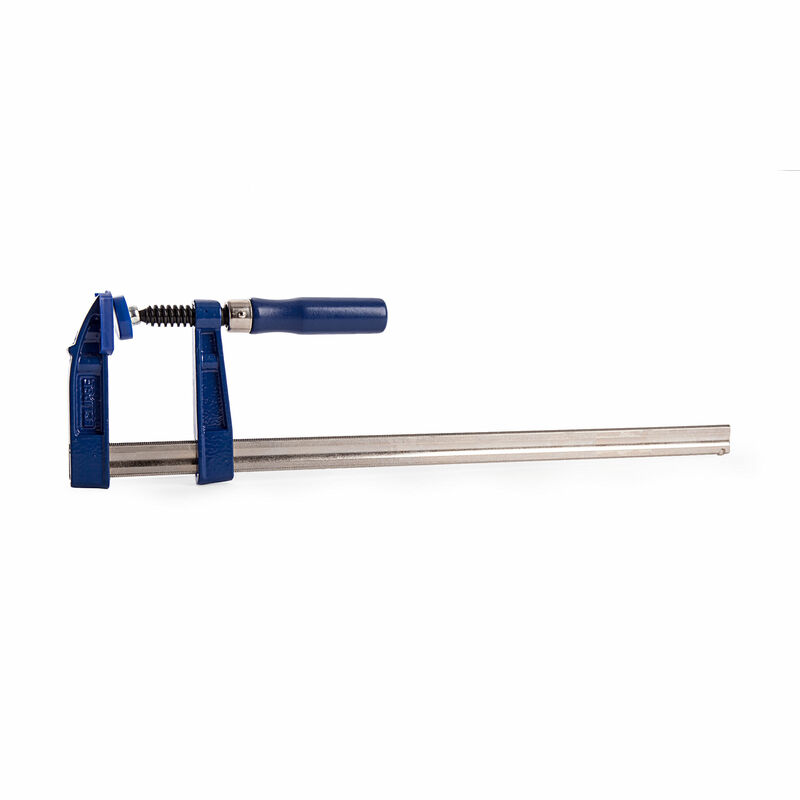 The sliding head quickly sets the clamp to the required capacity, whilst the serrated grooves on the corrosion resistant nickel plated bar prevent slippage in use. The cast iron malleable heads offer maximum strength and the wooden handle provides a firm and comfortable grip.